​​Johnny Manziel is officially headed to the AAF. 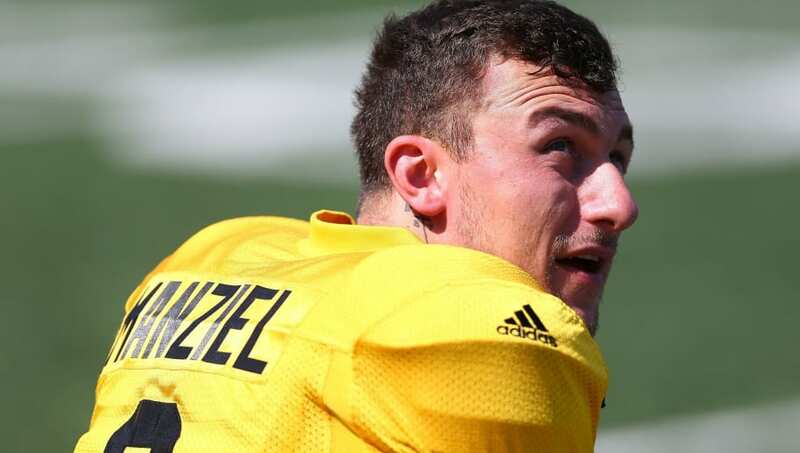 In news initially reported by Adam Schefter of ESPN, ​Manziel filled out the paperwork to join the newly-founded football league in the past few days. After joining the AAF, Manziel was placed on waivers, and the first team with the opportunity to claim his rights were the Memphis Express. With the big-name potential to put fans in seats, Johnny Football is indeed headed to Memphis. AAF says Johnny Manziel has been assigned to the Memphis Express. The Express are abysmal, as they've featured two quarterbacks so far this season, both of whom have played horribly. Christian Hackenberg, formerly of Penn State, as well as LSU alum Zach Mettenberger were the other two. While Manziel is rusty, he can't do too much worse than those two has-beens. Should Manziel wish to return to the NFL at any point, he needs to show out in the AAF. Sure, it's not the greatest level of competition, but it offers Johnny the chance to play against those on the fringe of an NFL roster. The Memphis Express used Christian Hackenberg and Zach Mettenberger this season. Record on the season: 1-5. They just claimed Johnny Manziel and he will be immediately eligible to play for the Express. It's not College Station, but it's a start.